If your team would like me to run an education or training event, please get in touch to provide me more details of the context and type of training you are interested in. As an expert in the creative application of technology to death and dying I am able to support teams developing strategies for thanatosensitive design. 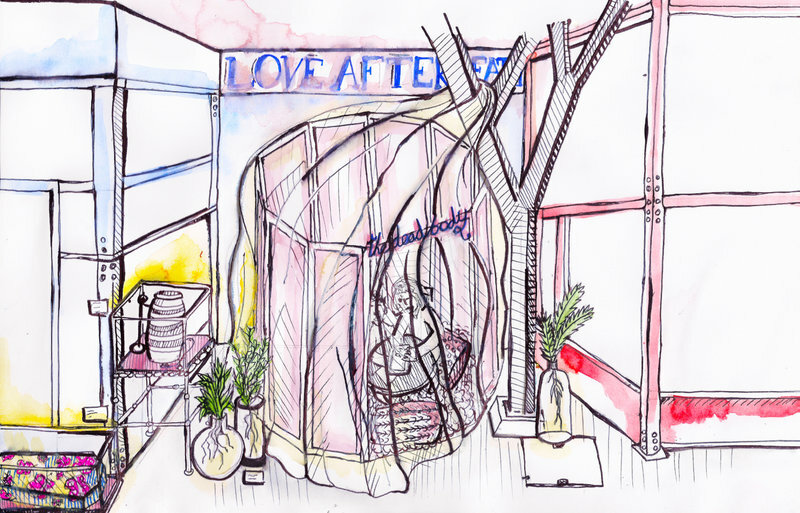 Love After Death is an installation that helps an individual, couple or a trio navigate the future of Love after Death though two pods called: Creative Bereavement and The Dead Body. The Pods offer a bespoke service where people can engage with specialists in the field of death and bereavement that guide participants through the process of setting up their own creative bereavement, exploring how people want to grieve in the future and how your body should be dealt with. Each Pod will be able to serve groups of 2 – 4 people for 15-minute consultancy sessions. Overall the experience focuses on giving people a clearer understanding of the multitude of options for death in the future and the tools to rethink some of their current preconceptions about death and dying. Our Love After Death pods are also being re-envisioned as a pop-up for venues (like libraries or museums) which aim to let the public engage with a series of warm and inviting but neutral (non-denominational) spaces for contemplating mortality.